"I'm trying to let everything in. I want to hear New York rather than some song I downloaded. I want to smell New York. 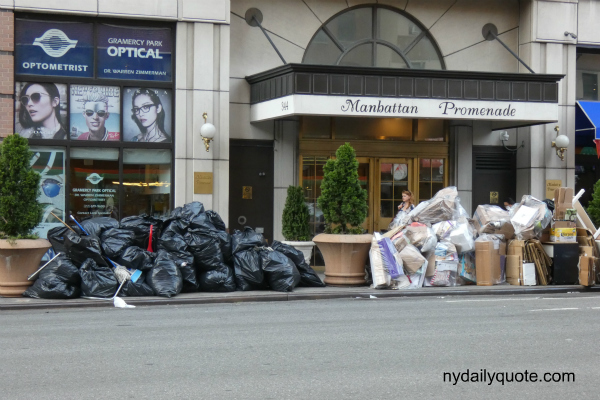 Well—New York smells like garbage. 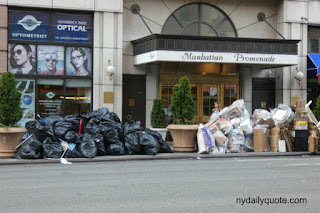 Vietnamese garbage, Mexican garbage, Lithuanian garbage, Nigerian garbage, all within a three-block walk."